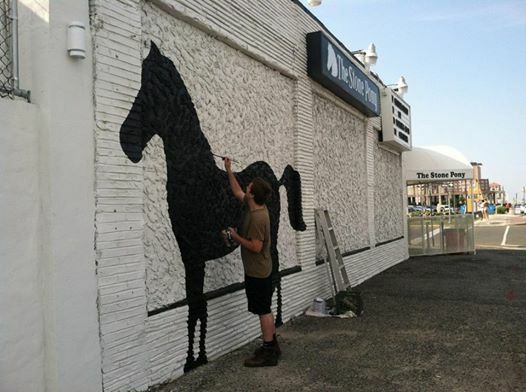 This week, I started painting the outside of the Stone Pony in Asbury Park, NJ. 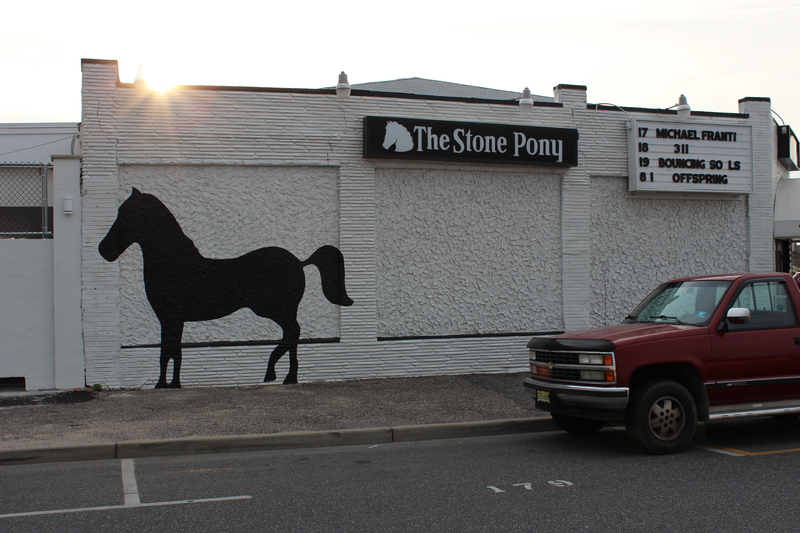 It’s a big project, the Pony was the first stage, next I’ll be painting “The Stone Pony” font and text across a new concrete wall, about 50-feet wide. I’ll do another post when the project is all finished. 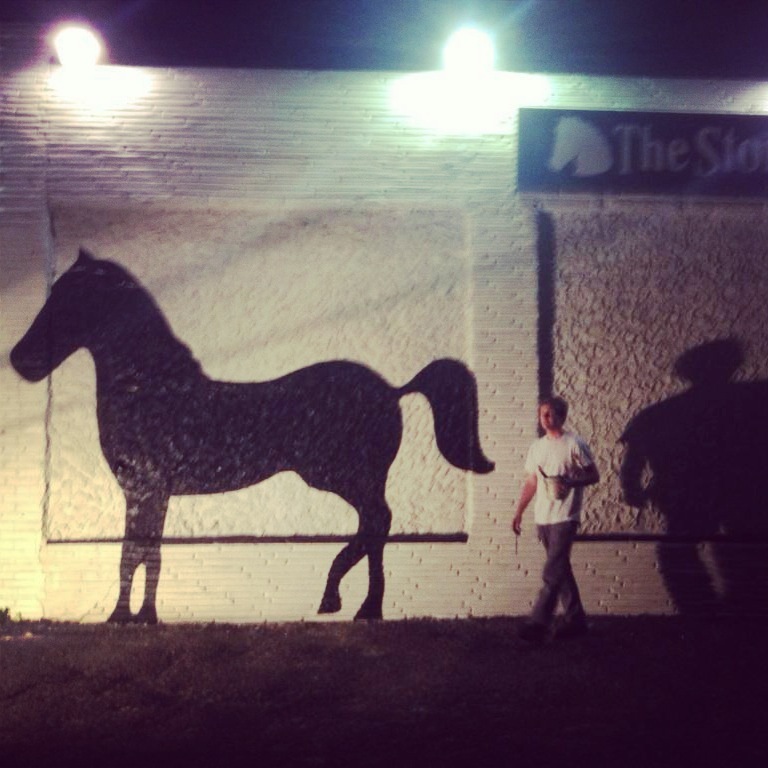 I’m using a projector to project the digital files of the Pony and the Font, so I had to begin at night. The texture on this wall is sort of insane, not to be underestimated, I had to use a pretty small brush to get the appearance of a straight line across all the uneven textures and surfaces. 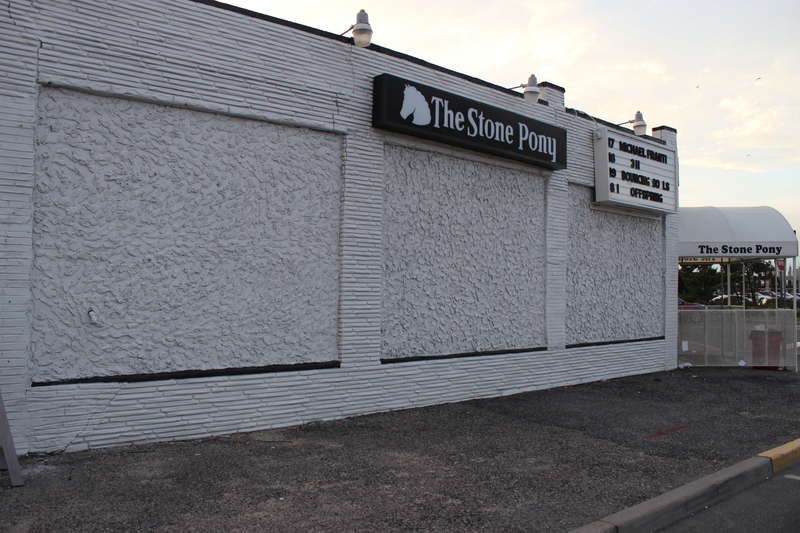 The projector is necessary for making the Pony this large and keeping it coherent across the jutting out bricks and different textures of the three different surfaces. I had my brother with me helping out, keeping an eye and hanging around. We got a lot of good reactions from people driving by or walking down the sidewalk. 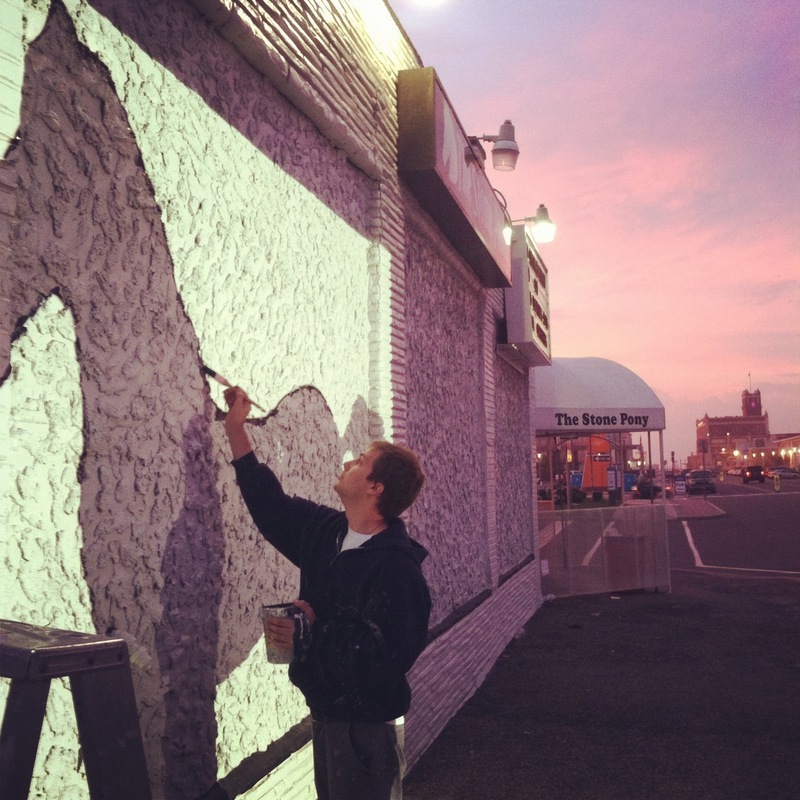 It was an intense night of painting, incredibly tedious, but completely rewarding – I’m proud of the way it came out.